Being an absolute equipment junkie, I was approached by GolfDiscount.com to write reviews and share my findings with you. Having been chosen to write a number of Taylormade product reviews for GolfWRX.com I felt that this would be an excellent opportunity to put my knowledge to use. Similar to Players Irons there are two categories of Game Improvement irons, Game Improvement and Super Game Improvement. 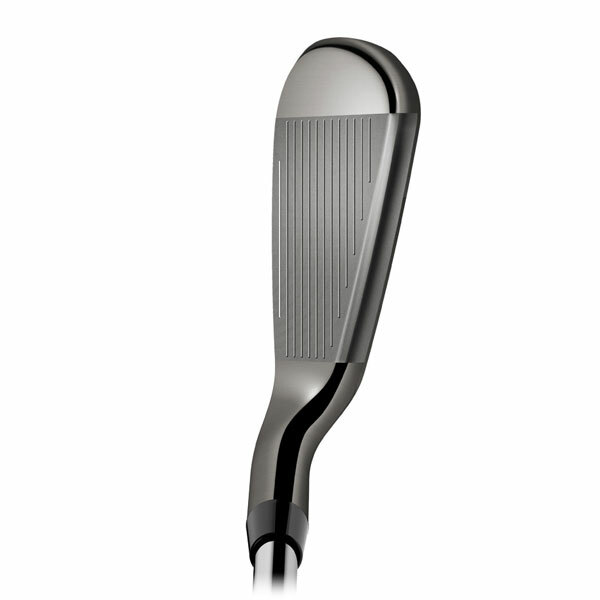 Both irons will feature a larger club head size with a wider sole and deep cavity. Manufacturers have continued to distribute the weight low and back to help players increase their launch angle and around the perimeter for greater forgiveness. Some Game Improvement irons will not differ much in appearance from Players Cavity Back irons, while Super Game Improvement irons will have noticeably wider soles and may be a combo set that replace long irons with hybrids. This year I have included the target handicap range each club is best suited towards. This range is a benchmark for who manufacturers designed the club for and are marketing it to. It is to only give players an idea which offerings will give them the best chance to play well based on their skill level. These ranges are not to discourage you from trying out any of the following clubs. I encourage you to make your own judgements through your own testing, your hands and eyes will ultimately know best. Testing was done at Newcastle Golf Course, along with Maplewood Golf Course, which is my home track. Enjoy the Guide and I look forward to your thoughts, comments and/or questions, and thank you for taking the time to read my reviews. Make sure to check out the 2015 Game Improvement Iron Guide if you don’t see what you’re looking for. I enjoyed hitting the MAX irons. They provided me with a crisp solid feel with a rewarding sound, and a very good ball flight. One of the better feeling Super Game Improvement sets that I have tried to date. These are one of the easiest irons that I have ever hit. Typically, the G Series of irons are geared for high handicap players, but the new G series irons can be played by any type of player. Effortless towering straight shots that were repeatable. If you’re looking for a great iron, check these out! 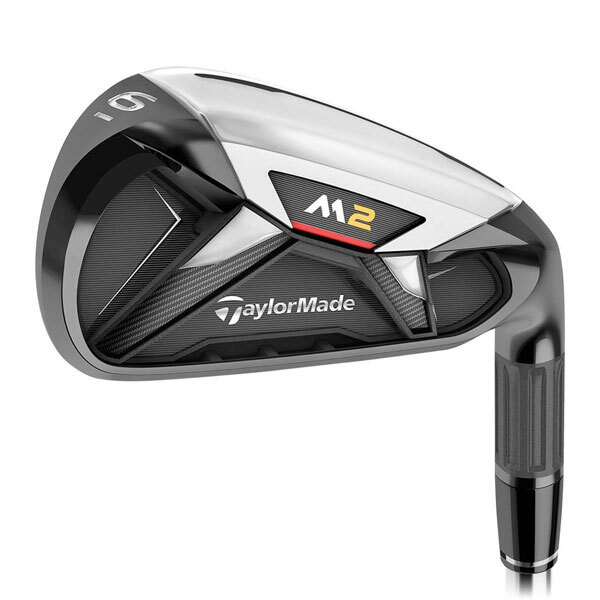 The M2 iron is all about distance with the new design that allows stronger lofts without creating elevation issues. Overall, a very easy to swing club that should be looked at if you’re in the market for a new set of Game Improvement Irons. 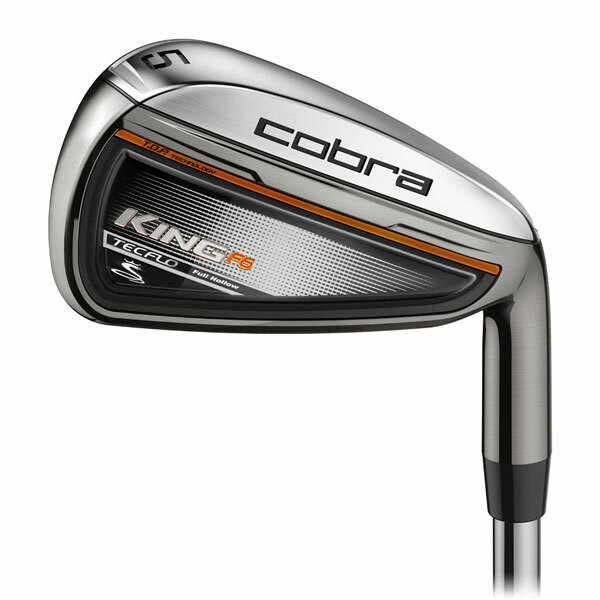 The Cobra F6 iron set is a progressive designed iron set with 4 different head designs. The TecFlo technology starts with the 3-5 irons having a full hollow head with face inserts, the 6 and 7 irons have a half-hollow design and a very thin face, the 8-PW have a traditional cavity back, and the GW-SW have a solid head design. 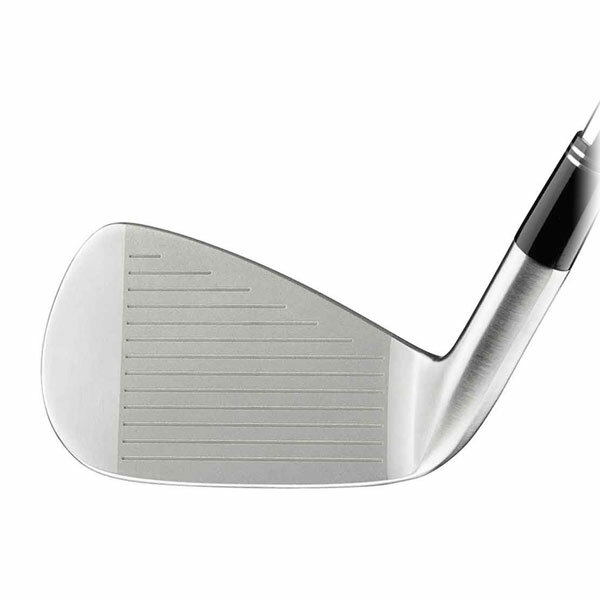 These chrome plated heads have a small speed channel sole that flexes at impact to create faster ball speeds. The set also offers another progressive design feature with two different groove styles. There are V-grooves on the 4-6 irons and U-grooves on the 7-PW. A progressive set like this tends to really cater to the mid handicap players (10 to 22 range) that want the newest technology, a large sweet spot, and CG locations that will help their game with excellent distance and control. I found the King F6 Irons more solid feeling than the Forged Tec Irons. I tested this head with a higher end shaft and not the stock offering, but the stock version is weighted very much the same as the KBS Tour V’s, only it will produce a slightly higher ball flight. 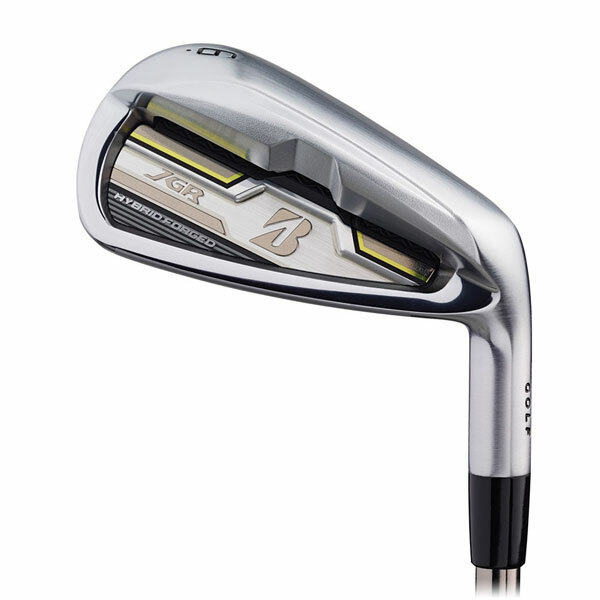 For a Game Improvement Iron, the K6 offer a massive amount of technology throughout the set. The 7 iron that I tested was very easy to hit, produced above average distance, a solid feel (I anticipated that click sound, which never happened) and perfect ball flight. 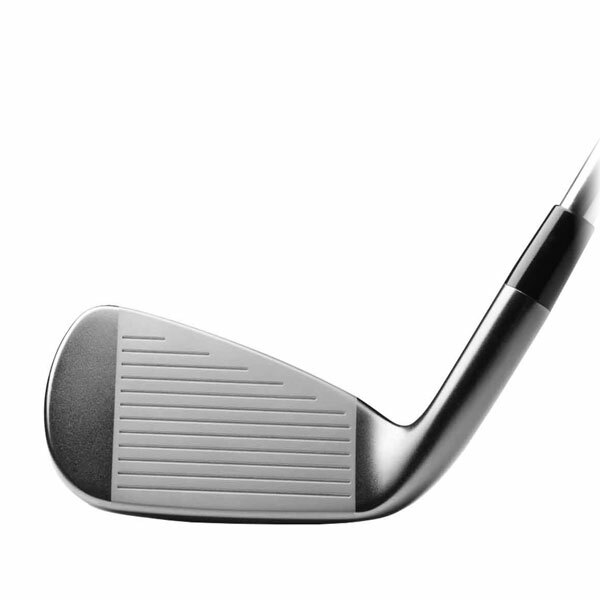 Modern Muscle balances the CG in the center of the Vapor Fly Iron face for the highest ability and purest feel. 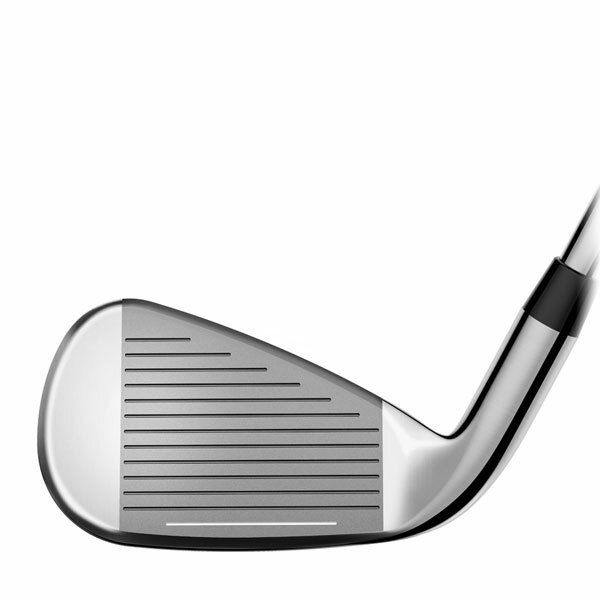 RZN Enhanced construction create a lower and deeper weighting and a higher ball flight. The Flexible NexCOR faces and FlyBeam reinforced chassis work in concert to deliver fast consistent ball speeds across a wider area. The set features hollow cavity long irons (4-7) for superior forgiveness, RZN Pocket mid-irons (8-PW) combined stability with refined feel, and RZN cavity short irons (AW, SW) allow shotmaking creativity. 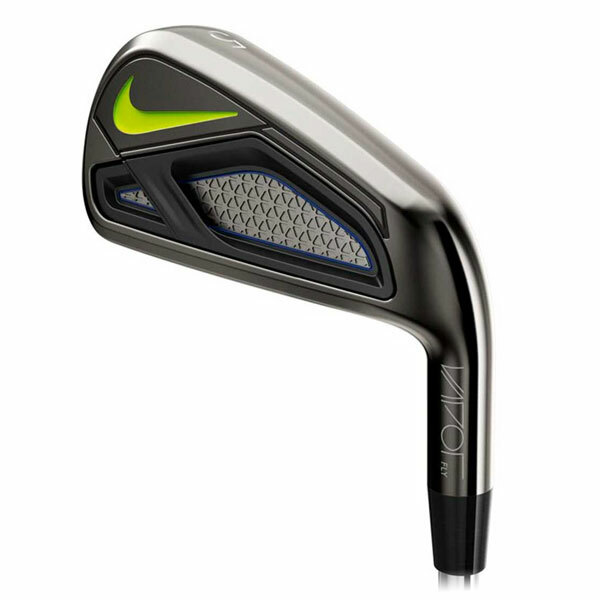 Lower-mid to higher handicap players would benefit the most from the new Nike Vapor Fly Irons. The shape and construction will help these player with forgiveness, a higher ball flight and solid distance performance. The Vapor Fly Irons seem to have slightly more offset, a thicker top line and a touch larger overall look compared to the Vapor Fly Pro version. The high-polished black finish is nice, but not as brilliant as the all black Pro version. The 85 gram lightweight stock shaft offered up a higher ball flight which made these very easy to swing. At impact, there was a slight click to the strike. Something that tends to come with this type of iron. Titleist gives players speed, launch and distance from the large, thin, unsupported fast face. 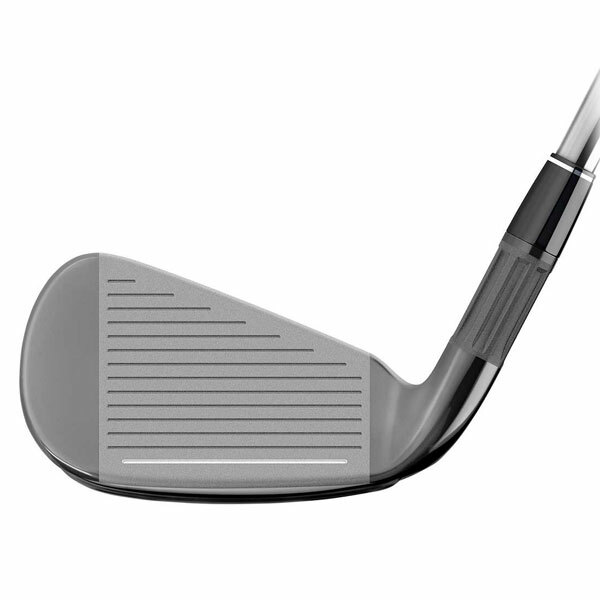 High density tungsten drives the center of gravity low allowing stronger lofts to create even more speed and distance. Forgiveness from the use of tungsten weighting distributes weight to the perimeter which increases moment of inertia on off-center hits. The 716 AP1 irons can be used by virtually any type of player, especially players seeking maximum distance and maximum forgiveness from a players iron-looking head. Of the four updated iron heads Titleist released in 2016, I like the changes to the 716 AP1 the most. Titleist really cleaned these irons up well and trimmed them down some. Compared to the 714 AP1 irons, the 716 AP1 irons felt better overall. These are an excellent alternative to the AP2 irons for players who desire slightly more distance and increased forgiveness. The ball flight was actually a touch lower than the AP2s for me with about 5-7 more yards of carry. By far, best AP1’s to date! The FLX Face Technology minimizes the contact points of the face to the club head to only 24% of the perimeter, freeing up 76% for maximum face flex and ball speed upon impact. Nine Power Holes allow the face to flex upon impact for extreme distance. TEO31 Urethane fills the power holes for improved sound and feel characteristics. These irons are for the player who is looking for a blend between a players club at address with distance and accuracy related technology incorporated. So, a very large group of players will enjoy these irons, but they are mainly for mid-low to mid-high handicaps. The first thing I noticed at address from the Wilson Staff C200 is the 3 Power Pockets along the top line. While different at first, I don’t feel it is anything that could be considered distracting. It was an excellent feeling iron that produced a very tight dispersion with above average distance. In fact, one of the best feeling distance oriented irons that I tried. One side note, the Lamkin Grips seemed very small on these clubs so I recommend keeping that in mind if you have larger hands. Bridgestone boasts the JGR Hybrid Forged Irons have the lowest & deepest CG of any forged iron on the market, and the thinnest face ever providing maximum ball speeds. The Wide Flange design allows for easy to hit, high launching distance, and Turbo Rubber provides vibration dampening for an incredible feel. Bridgestone says these irons are for everyone, but I am not so sure about this. The very wide sole might not be for everyone based on certain types of swings, like those that are quite steep or players that play on very firm ground. Sweepers of the ball who want a softer more forgiving head will like these. First off, this set is 5 iron thru AW, however the lofts are somewhat in line with a 4-GW setup. They are interesting clubs, for sure. 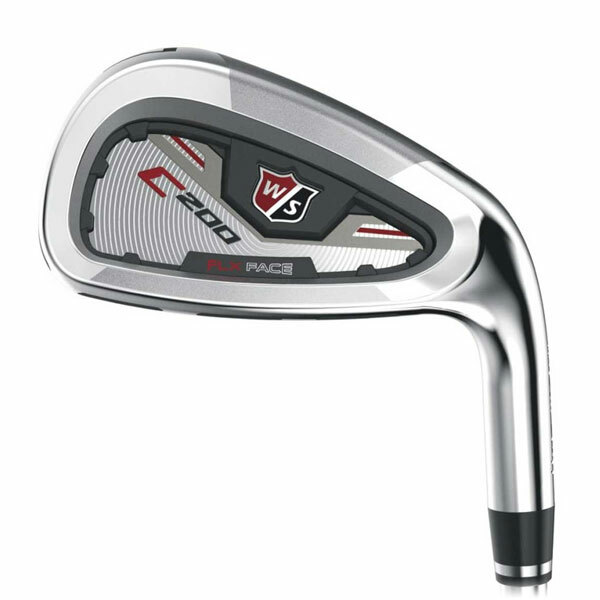 Being forged you get a great feel, but because of the sole design to have the lowest and deepest CG you get a definite click from these irons that you do not get from other forged heads. These are very easy to elevate and swing, but with the strong lofts I did not see any definitive distance increases. At address they look like a lower profile forged head, and has very nice lines. This should be a very nice club for players that pick the ball clean off the turn and need to improve launch angles. The MAX features TecFlo technology that utilizes half hollow technology in the longer irons for increased forgiveness and cavity backs in the 8-PW to help improve scoring. It also offers a Speed Channel Face which is an engineered trench behind the face area that helps to minimize face thickness, and increase distance through faster ball speeds even on mishits. The MAX iron is for the higher handicap player that is looking for a set that is designed to improve strikes with the harder to hit longer irons and improve accuracy with the shorter scoring irons. I enjoyed hitting the MAX irons. They provided me with a crisp solid feel with a rewarding sound, and a very good ball flight. I found it interesting that the MAX 7 iron loft was more than the Forged Tec and F6 (31.5° vs 30°), yet the distance and ball flight height were about the same. One of the better feeling Super Game Improvement sets that I have tried to date. 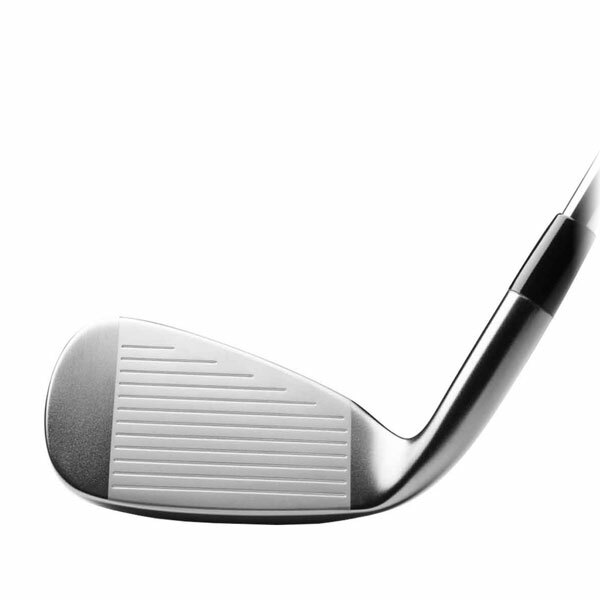 Grain Flow Forged 1025 Boron is a 30% stronger material for delivering a solid, consistent feel. The Power Frame strategically places weight in the four corners of the cavity to maximize forgiveness. Their Triple Cut Sole offers a softly beveled leading edge and hard cut trailing edge for hits that enter and exit the turf with ease and playability in all types of lies. 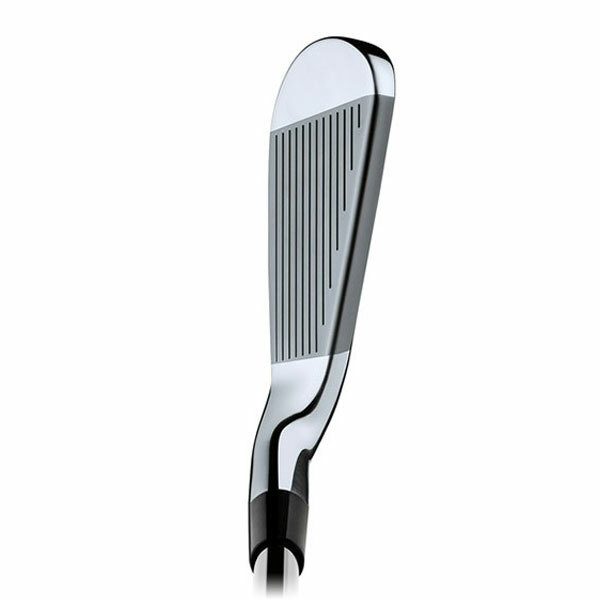 The wider sole helps to lower the sweet spot delivering effortless ball flight. 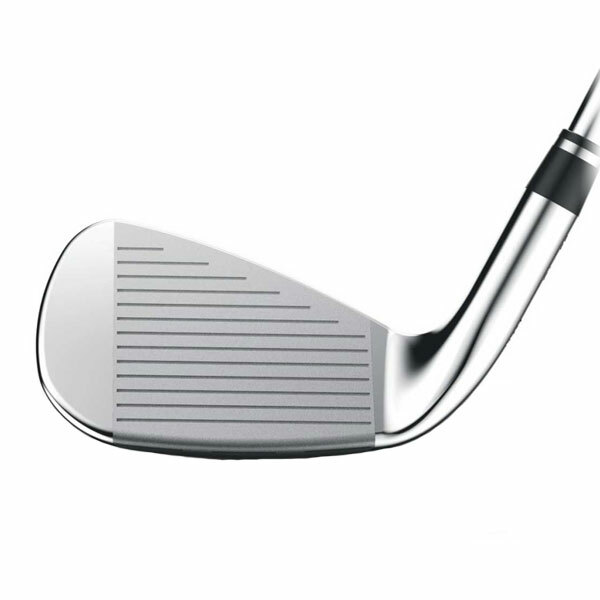 This iron is for the Mid-Low (8) to Mid (18) level handicap players who are looking for max forgiveness but without sacrificing the feel and workability that comes from a forged iron. I like the improved cosmetics compared to the previous model and the added weight placed in the toe area. For a forged head, the size is quite large but not so large that it looks overly chunky. This has an excellent, soft feel from the Grain Flow Forging even with this large of a cavity back, but not quite of soft as the Players irons. The ball flight was slightly on the lower side compared to most 6 irons that I have tested. Overall, great feel, feedback and even the ability to work the ball some. A nice niche club for those that want a forged feel with lots of forgiveness. Power Frame Dual Pocket construction delivers unmatched stability with extreme forgiveness. 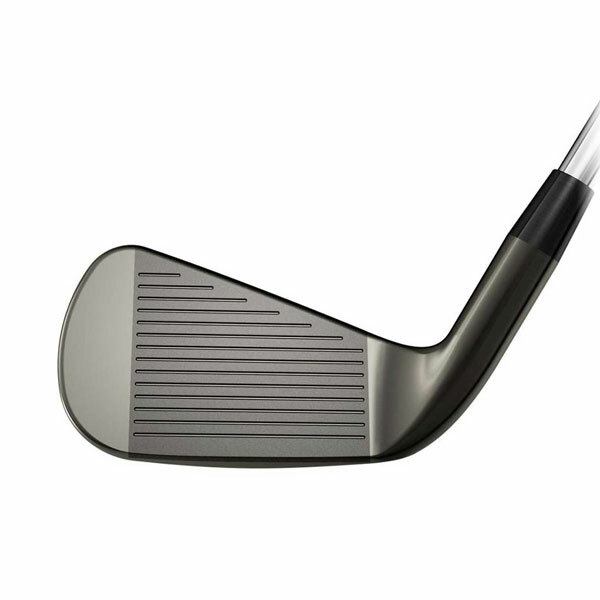 Hot Metal COR Design features a dual pocket cavity and multi–thickness face design for maximum ball speeds to deliver long and consistent distance. Harmonic Impact Technology fine tunes sound and feel. The black nickel finish is a sleek, bold look that is anti-glare. Having the largest sweet spot in the 2016 Mizuno Iron line-up, the JPX EZ is best suited for players with handicaps from 10-36. 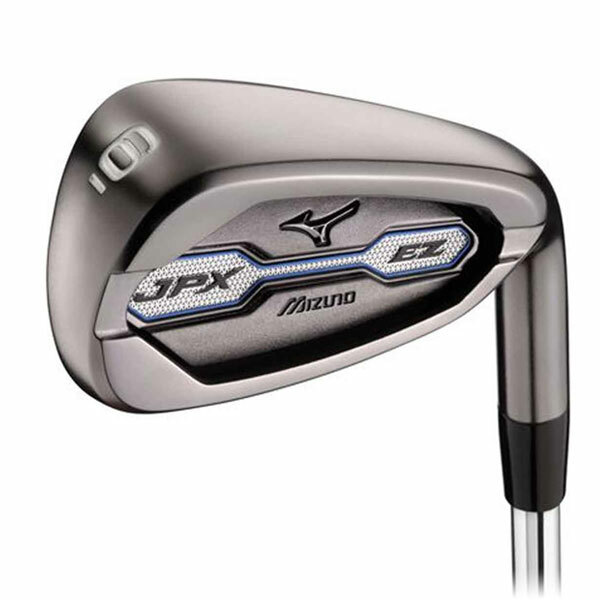 At address, the JPX EZ looks very close to the forged version and has a lot of the same technology installed into it. The main differences, besides the chunkier sole area, are a much higher ball flight, more of a click sound at impact, more offset and a much firmer feel. It predictably played more like a Game Improvement Iron while the forged set was definitely a step towards a Players Cavity Back iron set. 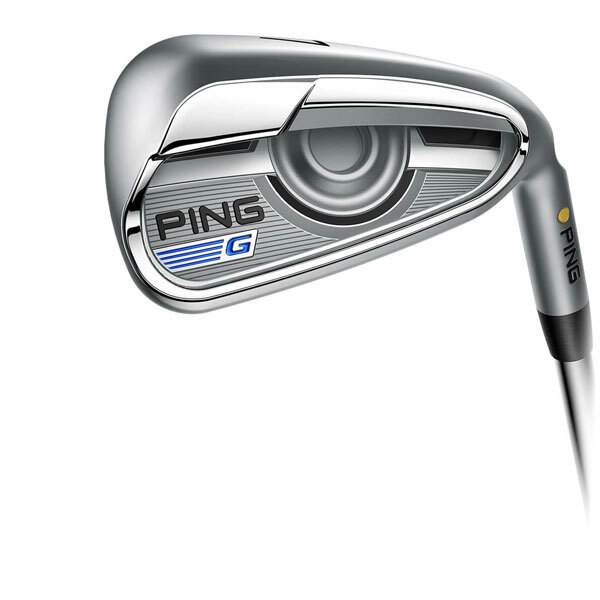 The brand new Ping G Series Irons have Cor-Eye Technology. This unique structure involves the entire face in flexing for consistently faster speeds across the hotter face. The increase in speed and shot height generates greater distance and a steeper landing angle for shots at the green. A large multi-material damping badge joined to the cavity works with Cor-Eye technology to prove exceptional sound and feel. Weight saved from the face is allocated to the low toe and perimeter areas creating a high MOI for extreme forgiveness. Connecting the CTP (custom tuning port) to the sole creates a deeper CG that helps elevate the launch angle while increasing MOI for greater forgiveness. Ping’s proprietary Ascending Weight Technology should improve performance throughout an optimal combination of physics and feel. They get heavier as it progressed from a longer arms to shorter arms and wedge. Lighter longer iron shafts help square the clubface, increased speed and optimize flight for distance and accuracy. Heavier short iron/wedge shafts improve trajectory control and feel. 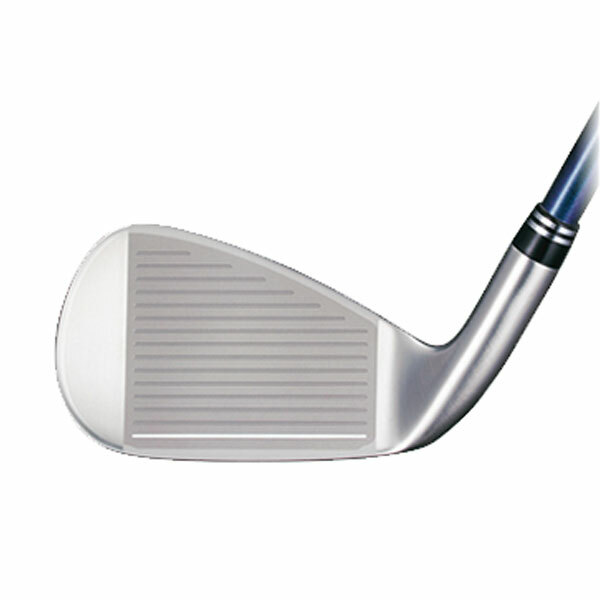 Typically, the G Series of irons have been geared more for the higher handicap player. However, with the new G series irons, I feel that any type of player can use these and compete at any level of golf. When I first researched the new G Series irons I found everything to be very spot on during my testing. Increased ball speeds, higher launch, steep landing angles, and a very hot feel. Looking down at this head, it’s really not as much of a Game Improvement look as it used to be. The wide sole cannot be detected at address, the top line looks thinner than ever, the head is not overwhelming and it looks ready to hit. Though I did not test the head with the AWT 2.0 shaft, I have used these shafts in the past with great success. I chose the Nippon shaft for testing because I like how tight they played in the I Series, and again this was true with the G head attached to them. These are one of the easiest irons that I have ever hit. Effortless towering straight shots that were repeatable. If you’re looking for a great iron, check these out! Optimized Set Construction offers a two-piece construction in the 4–7 irons from a powerful HT1770 Maraging Steel Face and a resilient 17-4 Steel Body. The 8-AW irons are a one-piece, softer 431 Steel construction offering full set playability and versatility. On top of the Tour V.T. Sole and Action Mass technologies, Srixon adds in a higher hosel section that expands the face area to create a larger sweet spot. 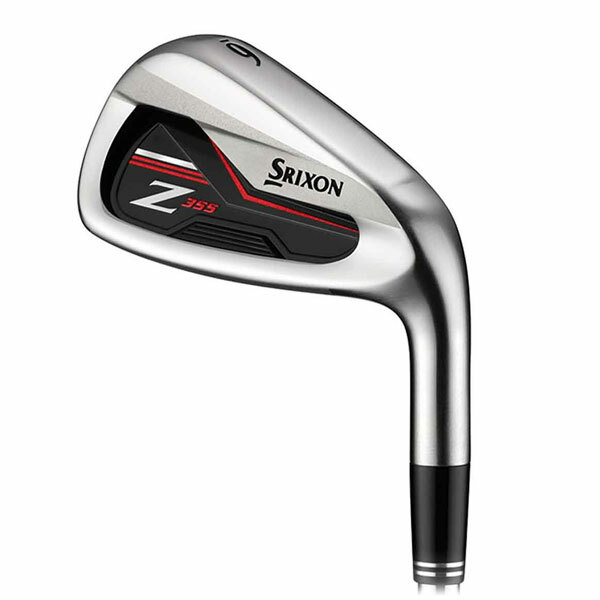 The Z 355 Irons are a Game Improvement Iron. Players who are mid to higher handicaps will have good results trying these out. The Z 355 Irons have a much larger head size than the Z 945 and Z 745 models, but have excellent lines that shape the look of the head. The feel of these irons was solid, albeit with a slight clicking noise at impact. Many of the Game Improvement heads often provide me with this type of feedback. However, I liked the sound that came from these. It made them feel like I was really getting into the ball well. The trajectory was piercing and the club made it easy to repeat shots. The new M2 Irons feature a Thick-Thin Fluted Hosel design that removes 3 grams of weight from the hosel. That weight is then distributed as low as possible throughout the head to lower the CG and promote higher launch and greater ball speeds. The 360 Degree Undercut expands the unsupported face area for more ball speed across the face, while also removing weight from the topline to create an Ultra-Low CG. In turn, this allows stronger lofts to maximize distance without sacrificing the high peak trajectory. Speed Pocket works in conjunction with the Thin Face Inverted Cone Technology to enable fast, consistent ball speeds across the face. The 3D Badging System is extremely stiff, but manages sound and eliminates unwanted vibrations for superior feel. 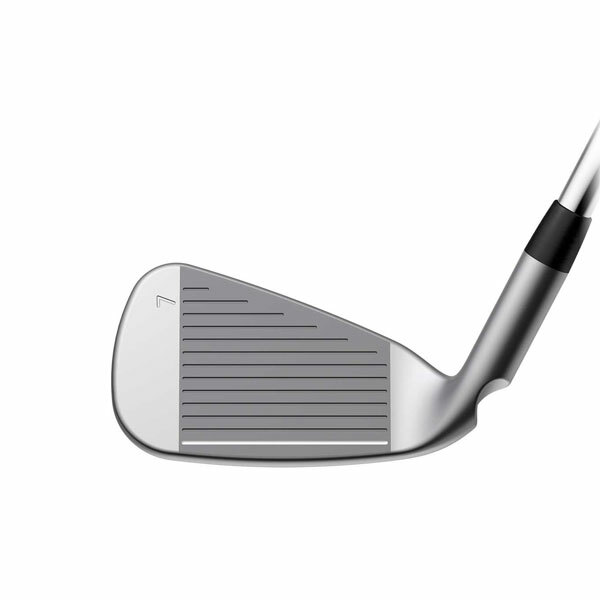 The M2 iron is all about distance with the new design that allows stronger lofts without creating elevation issues. In the end, this is more of a Game Improvement/Super Game Improvement head that will appeal to those with mid to higher handicaps. This head is shaped like so many of the past TaylorMade head designs, but with some new features. A thicker top line and slightly larger offset head size is complemented by a high polished black colorway. The distance of these irons stood out, and rightfully so with the 7 iron loft of 28.5 degrees. The head felt very solid, without any clicking noise (feel) that comes with many of the GI/SGI type of heads. The ball flight was about right for a 7 iron, even though the loft is more like a strong 6 iron. Overall, a very easy to swing club that should be looked at if you’re in the market for a new set of Game Improvement Irons. 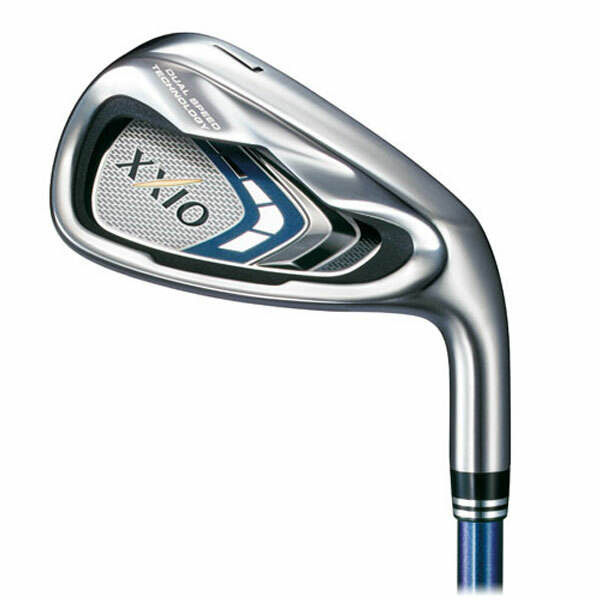 XXIO irons feature Dual Speed Technology which maximizes the efficiency of the golfer’s swing. The newest improvement to DST includes a boost efficiency for the initial portion of the downswing. Lag is increased by utilizing a heavier head and lighter shaft with a heavier balance point moving the CG closer to the grip which generates more centrifugal force (rotational speed) for increased speed and greater distance. A 5 piece head structure (4–7 irons) creates an even lower CG. In addition to the nickel weight in the sole, engineers have placed a high-density tungsten weight in the toe and heel. The result is a head with the lowest CG in XXIO history and high heel-to-toe MOI. This 5-piece structure enables the ball to get airborne with ease and further improves the carry distance on miss-hits resulting in higher speeds from outstanding forgiveness for shots of the lower part of the face. 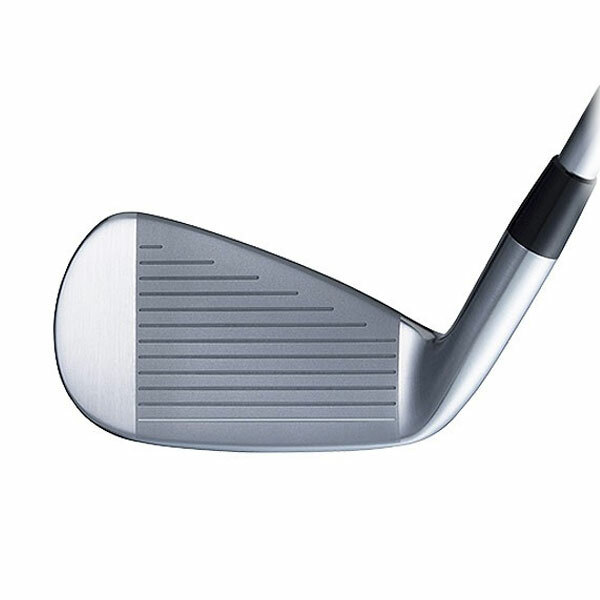 This very large oversized Game Improvement Iron is for any player looking to gain distance and increase launch angles with excellent forgiveness. In order for the DST concept to stay in place I would definitely recommend these irons for players with an average to smaller hand size. Just like last year’s version, the new XXIO 9’s have a very large, confidence inspiring head with a very rounded toe. Again, it is super easy to increase your launch angles, even with stronger lofts. The feel and sound were on par compared to last year’s version, which I thoroughly enjoyed. Having a lighter shaft only increased the DST concept, and that makes quite of bit of sense. While XXIO is very well received and known in Japan, it remains a relative unknown in America. So, never heard of them you say? I suggest a test drive if you’re looking for a super easy iron to swing. Excellent reviews. To the point and easy to understand the differences. Very helpfull. I noticed Callaway appeared nowhere on your list. On other reviews it’s listed as on of the top game improvement irons. I am wondering in your opinion what is the downside to the Callaway game improvement irons. Im in the market for new irons and the Callaway xr series was high on my list. Any comment? Agreed. 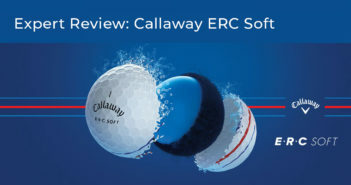 Disappointed not to see review of Callaway XR’s which I am considering. I bought the Callaway XR irons 6 thru SW and have been very happy…,, much more accurate and 10 yards gained! Wow – Very great reviews, easy comparison to pick the few I’ll investigate deeper. Thanks! Excellent work. The “who it is for” & “final take” section is far better then many reviews I have seen. Thanks! Great reviews. Concise and to the point. Since these are all listed as game improvement irons, why did all the tested irons have stiff steel shafts vs regular shafts? I personally play Stiff shafts, plus ai personally play Game Improvement Irons myself. Game Improvement Irons are not just for beginners and slow swingers these days. Sure, the majority of the buyers in this category will play a Regular Flex, but this is not needed to make the review any better for that that swing a Reg Flex as the club will still perform as it is designed to no matter if it is a Stiff or Reg as long as the swing speed matches up to the flex. I hope that this explains why….thanks for asking. I bought the M2 irons from Taylormade and I am getting more distance than my old Taylormade irons. I love the feel of them. I am a 11 handicap and it’s starting to go down with these irons. 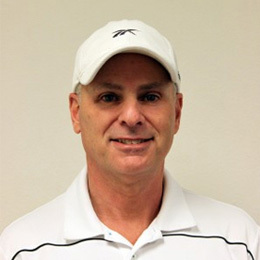 Michael, great to hear about your cap….distance is not that important in irons, control is. Great to hear that the M2’s are working out. I see more of these of any new iron on the market in bags at the range and on the course. Great read as I start to compare potential iron purchase. This will help me narrow down the clubs I will test out. Great reviews, but still would be a very difficult decision to make. Great summary and very helpful. Great review…I am one of those players who needs a club that will lower my ball flight. This is a great resource for researching new sticks. Lowering ball flight can be achieved a few different ways. Most of the Game Improvenment Irons will tend to elevate the ball quicker due to there perimeter weighting and lower CG. Certain shafts will help some, but the best bet is learning how to lose your flight based on your swing because equipment can only do so much….just a thought. Fantastic reviews. Thanks so much for catering to the average weekend player as well as the earth golfer. Excellent reviews. Very easy to understand and find what you’re looking for. 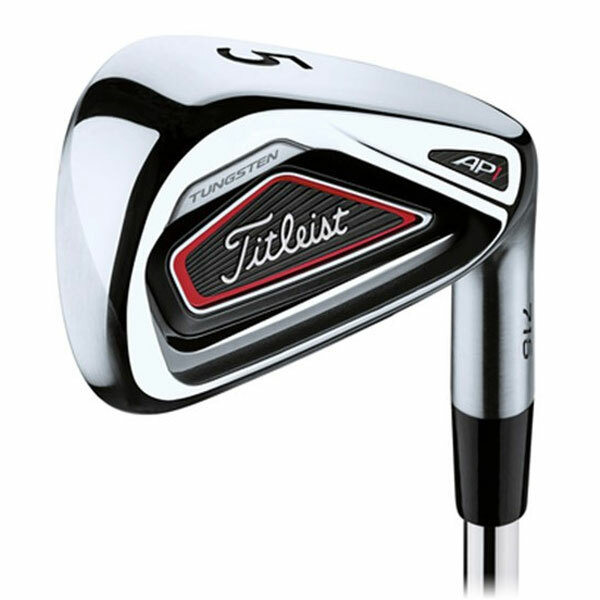 Can’t wait to try the Titleist AP1s!! I appreciate the fact that you included Bridgestone irons in your review. It is a very overlooked company that makes a solid product, generally for a lower price point than other manufacturers. Not being someone who uses these type of irons, I am not sure how they usually feel, so a more in depth feel comparison may have added some insight. I did hit the M2 and it was almost a dead feel. Bridgestone was by far the most impressive irons overall last year, mainly because I had little expiations for them going into the reviews. Excellent clubs. As for feel, the Game Improvement category tends to feel very firm, sometimes with a clicking sound to them because of how deep, big, hallow the cavity is. The more compact, the feel tend to better from my experience. 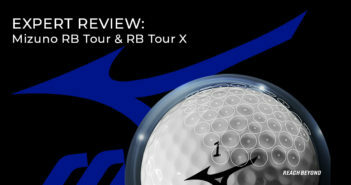 Great reviews and based on them, I’m going to check out the Ping, Mizuno Forged and Cobra King irons. I tested the M2 irons and thought that the impact feel was very hard. I like the weight distribution of these irons. I believe this style would help anybodys’ game. Love the sleek metallic look, i.e. The Bridgestone irons. Nice reviews! I like how you broke each one down in the categories. 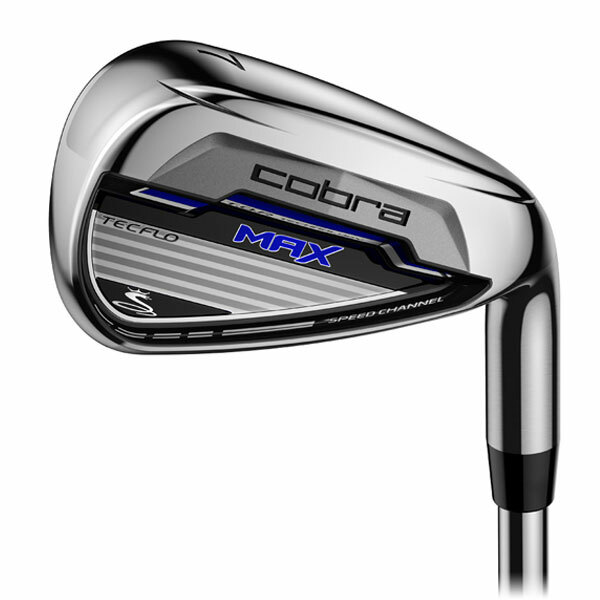 I’m in favor of the Cobra MAX and TaylorMade M2! Wow, tough choice there Thomas…..even though I am a Taylormade Guy, those Cobra’s won me over more than the M2’s. Let’s us know when you choice one. I’ve been thinking new irons, specifically Taylormade M2’s and your review reinforced my decision. Extremely helpful in my decision between the Mizuno and Cobra. Good review.. I am also quite curious as to why the Callaway XR irons weren’t covered.. I am interested in purchasing new irons and those are more in my wheelhouse, and is made by one of the top names in golf..
Bought the Ping G irons. Agree with your review. I’m a 7 handicap and 59 years old. Improved my distance, great control and feel. Love them! Another great review that really helps me narrow down the list of clubs, irons in this case, that I want to try. Also, it comes at a great time as I am getting ready to purchase a new set of irons. Love my Cobra F6’s. Thanks for he input! Great to know for us higher handicappers. Will really help as I look to get a new set. Good reviews of each iron set. Quick question. What is the major difference between the Mizunos and the Nikes. I currently hit Nikes but have always heard Mizuno made a quality iron. What you heard about Mizuno is so true, but when you hear this the majority of those conversations are about their Forged Irons. Last years Mizuno 850 JPX Forged are a top pic of mine. Majority of Forged Iron heads tend to not be game Improvment, but more on the Palyers cavity side. 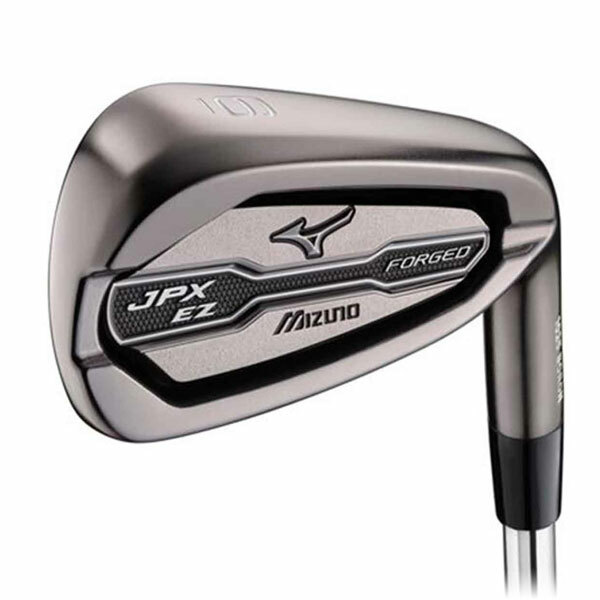 Mizuno is one of the rare few that offer a more forgiving iron in forged. With cast heads, the differences are small, where the weighting is places, the construction for sounds damping, and feel and of course looks. So if your going to compare Nike to Mizuno, it should be with both OEM’s cast heads and compare them side by side and then hit them and go from there. Rich, have a look at close outs….there should be plenty of great choices that I know will be more forgiving, and build more confidence compared to they Eye 2’s. Best club ever in its day, with the right shaft. Putting the recommended for handicaps in there really helps. Sometimes, better clubs with stiffer shafts can actually hurt a player’s game. It was really hard to settle on one set of irons, but I am leaning towards TaylorMade from this guide. Many of the top club makers suggest going to a stiffer iron shaft in steel if your between flexes or because you just like the feel better of a stiffer shaft. Most steel irons shafts are quite stiff to begin with and remember, we are bit try to hit the irons far, we are looking for very right dispersion. The Taylormade M2 Tours are missing and I hippos to see those up very soon. Have a look at those too! These reviews were just what I was looking for! disappointed to not see a review of Callaway XR16’s which I have been looking at. These were reviewed in 2015…..have a look. There is a link in a comment above your comment. I could paste the link, sorry. great info! especially like the mizuno jpx ez & jpx ez forged. I have read all of your previous guides, and I admit they are interesting. This particular one doesn’t do much for me, because I am not in this category. But when I read the players irons, it did help me decide between AP2’s, and Callaway Apex Pros. What is your choice and why? I liked the Apex Pro’s better, but would love to hear your thoughts. Excellent reviews. Leaning toward Cobra F6 or Titleist. The crazier the sets the nuttier the comments. Looks like Ping and Titelist are still for me. Great Reviews for all golfers! I am playing the W/S as I like the fact they have re-committed their company to golfers as they did in the 60’s and 70’s. The review was right on except the distance is amazing and the feel is “near forged”. Good, comprehensive description of the clubs! Helpful info about the wide sole and swing type and ground type in the Bridgestone review. Quite impressed with the Ping G and Titleist AP1 as irons that one can really grow into. I had been looking at the Mizuno but am now open to these. Love the Ping G’s that’s for sure! I really like the M2 Tours. M2 top line is too fat. I felt the same way Jeffery, but this is what we personally like to see looking down at a club at address. Others might not care. Both are very nice irons, but different. Great reviews. I especially like to see clubs aimed at higher handicappers. I need all the help I can get! I got a set of ping g’s this year. love them. Very thorough and well thought out reviews. Will definitely help to narrow down my choices! Thanks for logging onto GolfDiscount.com and reading them. Good info on the reviews. Wilson Staff C200 are very solid, our local store lets me hit them in the tunnel. Definitely will buy Wilson Staff when funds are available. Did Callaway not send you any irons to review? I am glad that you liked the Wilson’s (just need larger grips) and as for the Callaway’s, their main GI iron is the XR R which was reviewed in the 2015 reviews. The Apex Pro’s are in the 2016 Reviews and the Apex CF should be up soon as they got missed. Some great thoughts on irons I normally would not consider before my next purchase. I will cast a wider net in the future. My buddy just bought a set of the Ping G series irons last week and I’ m looking forward to see how they play on Friday. I know he’s excited to give them a test run on the course. Appreciate the write ups, particularly on the G series so I can get smarter on club nuances. Thanks. He better let you try them and then watch your wallet get lighter….my fav iron that I tested. How would you compare the forgiveness on the Srixon Z355, Titleist 716 AP1, and Cobra F6? I’m looking at trying to find a little more forgiveness over my current set of Srixon Z545. Would you say all 3 offer increased forgiveness over the z545? Hard to really say because each swing style has its needs, but I am going to go with the King F6. I really like a lot about this set. Sound, feel, foregivenss and ball flight. Personally I feel that the Z355 and AP1’s are a bit more spread apart from each other for types of handicaps. Go test those F6 and tell what you think. Honestly at this stage of my golfing life, any of the clubs would help my game. I have been holding off until I got more instruction so I don’t buy a new set of irons, then head out to the range and make a brand new set of clubs look bad with my upright off plane swing ? Great reviews! I really like the look of those Bridgestone irons! I enjoyed the artical o n the Taylor made 7 iron M2 iron. I am going to purchase a set of the M2clubs. I appreciate this information presented. Thanks. Very concise and good place to start to narrow down options. Hitting the clubs with club fitter is the final test. I’ve always used TaylorMade. I enjoy their distance. Looking forward to testing the M2s, and possibly the new Pings and Titleists. I’ve read good things about all. Thank you for the excellent reviews. You have really educated me with your extensive knowledge. Great blog; keep up the great work!